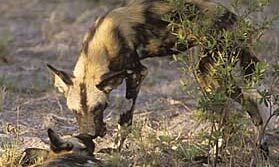 Throughout Zambia there are some wonderfully fascinating, exciting and inspiring experiences that we can offer you on your holiday. Here are a few ideas to show you the kind of things you could be doing here, though of course there are always more, and we are also very happy to help you with anything you specifically want to do or see. 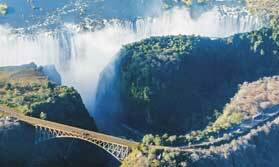 See Mosi Oa Tunya from the heady heights of the sky and appreciate their full glory. 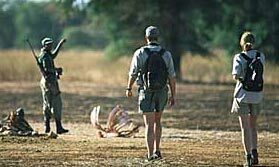 "Tracking lion prints through the bush with the reassurance of an excellent guide and an armed ranger - and someone bringing up the rear with our morning tea and biscuits!" L.McKenzie.